Discover our selection of new Ford vehicles in St-Jérôme. Whatever type of vehicle you are looking for, our team of professionals is here to help you find the perfect model that will fit your needs and your budget. 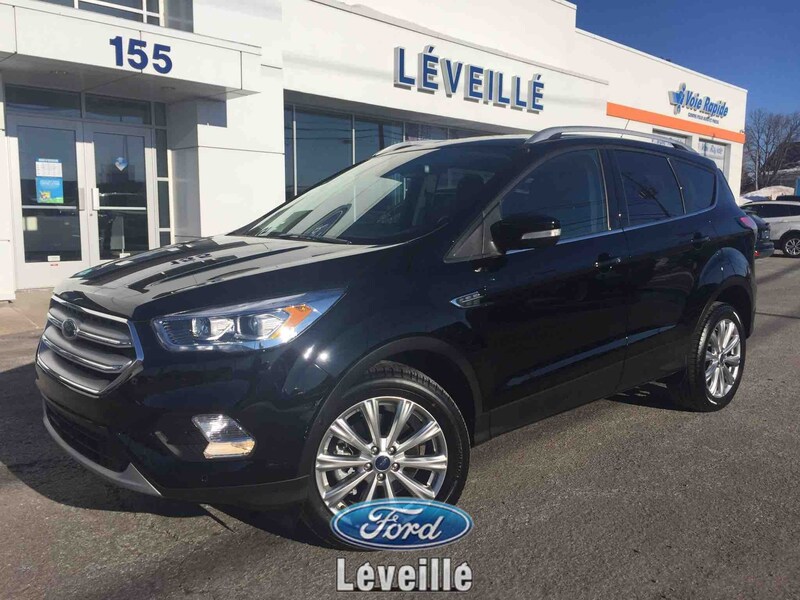 At Léveillé Ford, we offer a wide selection of quality Ford used vehicles. Browse our inventory and discover a unique selection of various models. From the small city-car, perfect for traveling in the city to the spacious SUV for the whole family, we have what you need. Take advantage of the promotions available at your Léveillé Ford dealership and receive discounts on quality products. Do not miss the opportunity to save on the purchase of your next vehicle and check our page regularly! Welcome to Léveillé Ford, your dealership in Saint-Jérôme, the best place to shop your Ford vehicles. Whether you are looking for a new or used vehicle, we have what you need in stock and our team will help you choose the best model for your needs. Ford Focus, Ford Fusion or Ford Escape, choose from a large inventory of various models. We offer attractive financing solutions! We also regularly offer promotions on our vehicles, do not hesitate to consult our offers. Our experienced professionals are at your disposal to offer you the best service of maintenance and repair. We also have a large inventory of parts and accessories to take care of your Ford vehicles. Contact your Léveillé Ford dealership without further delay to take advantage of the best deals in Saint-Jérôme, on the North Shore of Montreal. We are the reference in the region! The Ford car manufacturer has recently announced that a model of Ford Mustang Hybrid will be unveiled in 2020. Increasingly powerful, hybrid vehicles have proved their efficiency and reliability on racetracks and have attracted more and more drivers in recent years. Have you considered driving a Ford Fiesta? This small car is the perfect ally for getting around town easily. Available in 10 different colors, you can choose the shade that best suits your personality. Make the most of a high-performance, comfortable hybrid vehicle while driving the 2018 Ford C-Max Hybrid Hatchback. With its sleek design and numerous technologies, it’s the perfect vehicle to accompany you in your various daily trips. Its exterior design leaves no one indifferent. With its dynamic lines and bold look, you ride in style behind the wheel of the Ford Edge. This attention to detail is also found in the interior design, elegant and modern. Contact our team today to learn more about our available vehicles. Whether you want to request a price quote, book a road test or find out about our financial offer, fill out our online form. We will contact you very soon. Enjoy the best offers and current discounts!